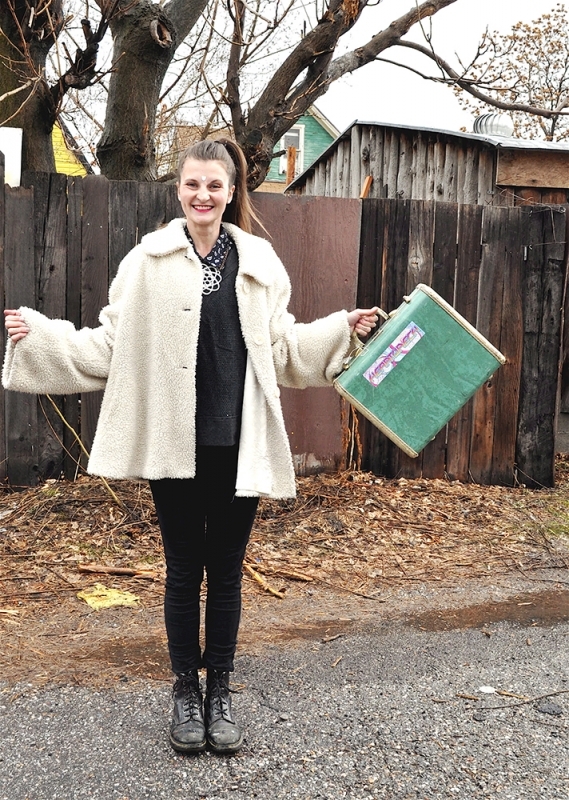 For Ashley Kinser, Utah native and creator behind the colorful accessory brand Glitter Gutter Glamour, art is a major facet of all things in life, including her personal style. Inspired by peculiarity, Ashley spends most her time in-studio painting or creating jewelry designs for GX3, requiring a level of functionality to accompany her expressive and original taste in clothing. “I need my fashion to work for me. I’m interested in [clothes] that transition throughout your whole day,” she says. On nights in, Ashley will throw on a comfortable, thrifted sweater to join her equally artistic roommates while they craft and drink champagne and relax with their household of dogs. No matter what Ashley is doing, she can always be found in a pair of boots. “I am obsessed with boots, I LOVE a good pair of boots,” she says. 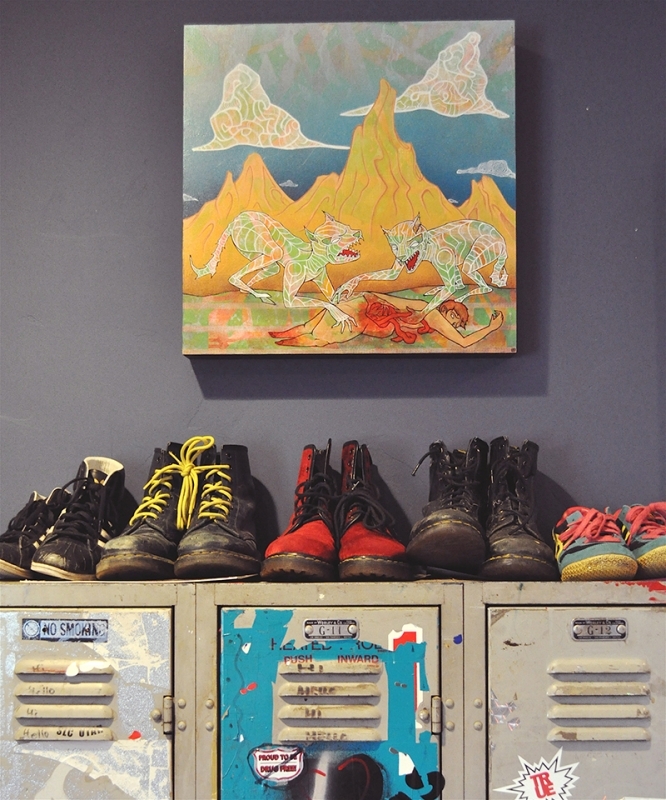 Her growing collection ranges from vinyl creepers to beat-up combat boots to her three pairs of equally unique Doc Martens. Traveling is another key inspiration for Ashley’s personal style and the symbolism behind her jewelry. “Cultural symbolism plays heavily into me and what I do, especially with GX3,” she says. She loves the opportunity that traveling gives her to get out of her creative bubble and to come up with new ideas. “I don’t know where inspiration comes from, but sometimes a new idea just comes to me,” she says. This doesn’t prevent Ashley’s style from being anything but eclectic. 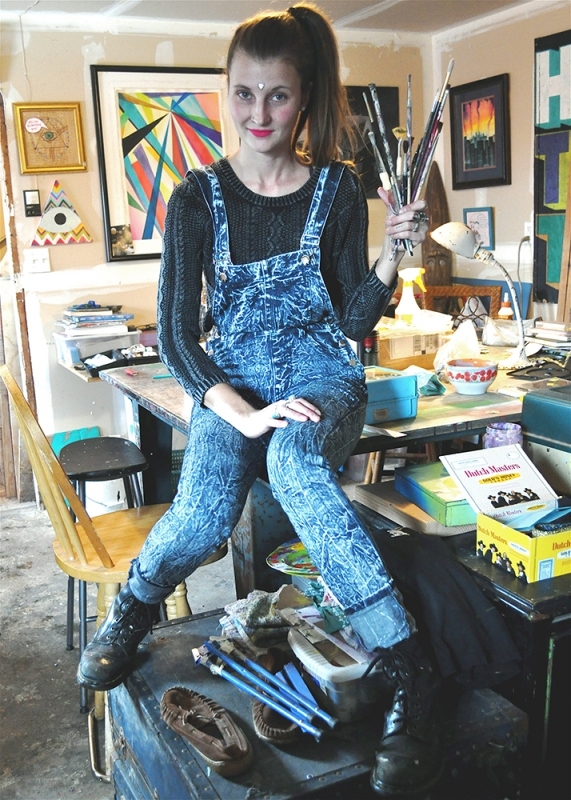 “I’m a weird art girl in every sense of the phrase,” admits Ashley. “I love shocking outfits as much as functional ones.” Ashley mixes unexpected patterns such as acid wash, floral prints, camouflage and geometric shapes, and plays around with interesting silhouettes to achieve the unique aesthetic she creates with her wardrobe. One of these ideas has been fashioning unique color palettes. Ashley frequently wears, creates and paints in palettes she finds “slightly awkward, but still go together in a cute and interesting way,” she says. One of her favorite color combinations right now is maroon and grey.